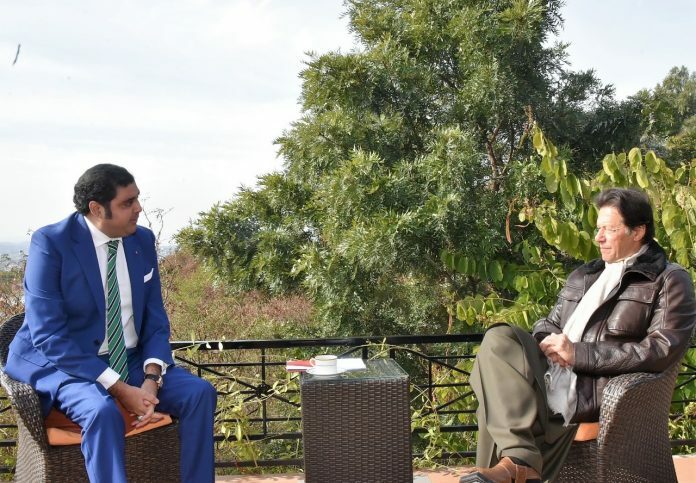 Ali Murtaza Abbas, MOL Group Regional Vice President for Middle East, Africa & Pakistan recently called on the Prime Minister of Pakistan Imran Khan here in Islamabad at his residence in Bani Gala. Mr. Abbas gave a short overview of the group’s operation worldwide and briefed about the operations carried out by MOL Pakistan Oil & Gas Company, since its inception in Pakistan in 1999. Mr. Abbas informed the PM that MOL Pakistan is currently enjoying the status of the largest producer of LPG and the second largest producer of condensate/crude in Pakistan. Sharing the success stories, Mr. Abbas informed the PM that MOL Pakistan has hit 9 consecutive discoveries in the operated blocks namely Manzalai, Makori, Mamikhel, Maramzai, Makori East, Tolanj, Mardankhel-1, Makori Deep-1 & Tolanj West and 4 discoveries in non-operated blocks namely Halini , Ghauri, Kalabagh & Halini Deep. Mr. Abbas expressed his gratitude that the government was providing maximum support to the oil & gas sector which has much more potential to grow in coming years. He said that MOL Group is looking forward to strengthening Pakistan’s energy sector further and promoting public private partnerships. Mr. Abbas further informed the PM that the MOL Group EVP Upstream, Dr. Berislav Gaso will be visiting Pakistan to meet the PM on building further business avenues in the country.